Are you sure know how to calculate the cost of blinds? When it comes to buying blinds, whether it be online or in-store, there is generally a lot involved in the process. How much will new blinds cost? Purchasing new blinds or shades for your home can be a very unnerving task since there are many factors to consider including colours, style, material, window size, window shape, the number of windows, privacy, light control, energy efficiency, motorisation and budget to name a few. Normally someone would have to come to your house first to take all the measurements and then give you a quote depending on what you chose. This can be a very long and tedious process. And then there’s the choice of whether or not you will also need help installing your new window coverings. Luckily Blinds Direct has a nifty blinds price calculator online and a full staff of dedicated people at our home office (087 802 6027 Monday to Friday 8am to 4.00pm) ready to help with all of the above and more. That’s right, you can skip the long and unnecessary home visit and use our website to do it yourself. We will be covering all the steps that you need to take to get to the final outcome. To get you started in the right direction one of the first considerations that affect the cost of blinds would be the material the blind is made from. For example, a solid wooden blind like basswood blinds will cost more than plaswood wood blinds (which is a composite), but the trade-off to consider is durability and potential energy savings over time. Of course, solid wooden blinds may not be a fit for every room, a bathroom, for example, is one place you may opt for aluminium or composite option because of the moisture factor. Since there is often no “one blind style fits all” solution for every room of your home that is also another big consideration when you are trying to figure out how much your new blinds will cost. So… how much do new blinds cost? 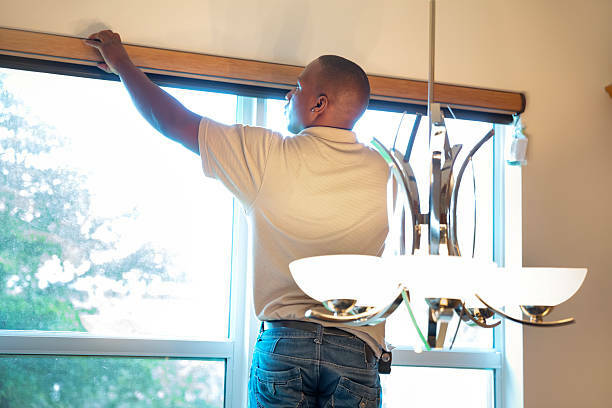 When you need to find out exactly what your cost will be the first step is to take careful and accurate measurements of each window you plan to purchase blinds or window shades for. Overall, this is the part where people normally get someone to do it for them. Also, you probably trust them doing it more than you trust yourself. After these tips and tricks, there will be no need to go that route again. The only difference here is to remember whether you want to mount your window treatments on the inside or the outside of the window frame. Keep in mind the following: mark the width measurements with a “W” and the height measurements with an “H”. This way you won’t get the two confused. We also recommend using a steel measuring tape and to NOT round your measurements. You will be taking three measurements for the width: the top width, the middle width and the bottom width of the window. Write all of these down and always double check them. Next, you’re going to measure the height of the window. You will be doing the left-hand height, the middle height as well as the right-hand height. NOTE: You are measuring from the very top to the very bottom of the window – whether you have a deep frame or not. Start off by measuring the width of the window as mentioned above. Once this is completed, add an extra 7.62cm to each end to ensure that you are covering the light gaps on the sides. Now measure the height also as instructed above and add on an additional 6.35cm in order to leave space for the mounting brackets. Our blinds calculator allows for you to fully customise whichever blinds, shades or shutters that you choose. The main thing most people want to know is “why”. WHY should I choose your services and products over all the other companies out there? When it comes to your home – whether it’s your own or if you are an interior designer working on a project – you want it to be pretty much perfect, right? Here at Blinds Direct, we have a very close relationship with our suppliers. Business is always business, but with that said there also comes a lot of trust and reliability with it. Through building up these aspects a bond is formed which brings a sense of security and safety knowing that you can rely on them time and time again. Due to this, we get our blinds at a special rate without having to compromise the quality of them – and we fully believe in quality over quantity! On that note, that is the main reason why our prices are so competitive in the market. We aim to provide our customers with nothing other than top-of-the-range window treatments at an affordable rate meaning that you can work within your budget and have a good end-product. As a conclusion, we want to offer YOU that same sense of steadiness so you can know that you have been placed in good hands. Now that we have all of that cleared up and provided sound insight into the tough question of “How much do new blinds cost?” Feel free to browse our selection of blinds and window shades. 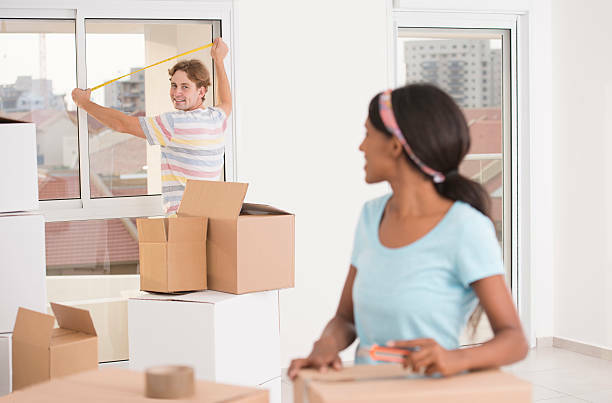 Gone are the days of having to use a middleman to get the job done – you can now do it yourself in the comfort of your home! We hope to be hearing from you soon and hope that our blinds price calculator will help you work out the cost of your brand new blinds today! This entry was posted in DIY Blinds. Bookmark the permalink.